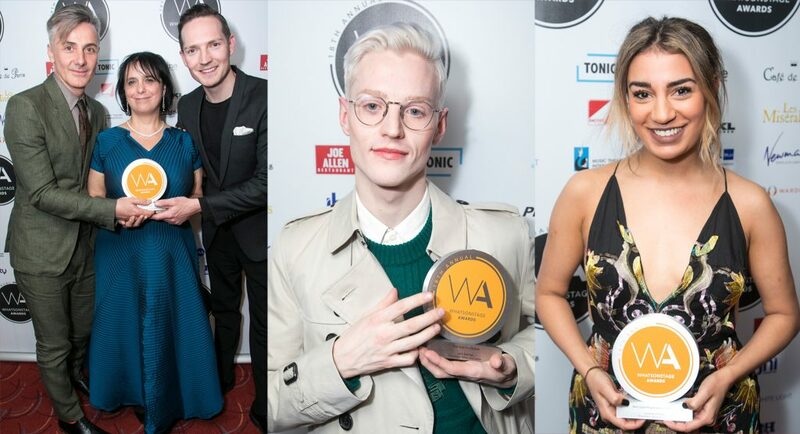 The 18th Annual WhatsOnStage Awards took place on Sunday 25th February at the Prince of Wales Theatre. After being nominated for four awards back in December 2017, Everybody’s Talking About Jamie was absolutely delighted to receive three of the highly coveted awards. Best Actor in a Musical for John McCrea in the title role, Best Actress in a Musical for Lucie Shorthouse and her portrayal of Jamie’s best friend, Pritti Pasha and the biggest award of the night, the one that all musicals want, Best New Musical!!! We couldn’t be more chuffed!! The WhatsOnStage Awards are the only theatre awards where you, the audience, are the judges and everyone involved in Everybody’s Talking About Jamie would like to say an enormous THANK YOU to everyone who voted. Why not find out all about the evening by heading over to Jamie Campbell AKA The Real Jamie’s new vlog channel, Everybody It’s Jamie.